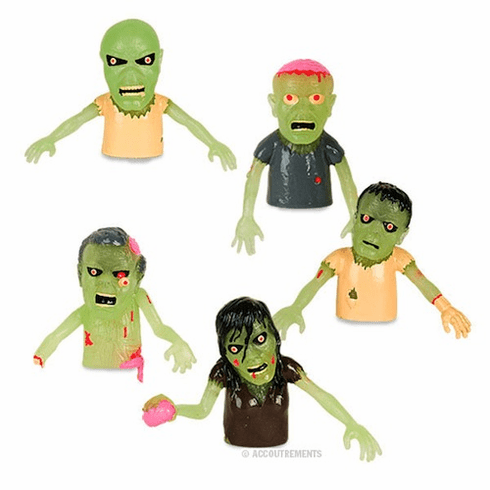 Exposed brains, open wounds, missing limbs... Ahh, to be a zombie. Crafted from soft, floppy rubber, these 1-3/4" (4.4 cm) to 2" (5.1 cm) tall undead finger puppets are perfect for low budget puppet shows. Five different styles. Price per zombie. Styles subject to availability.